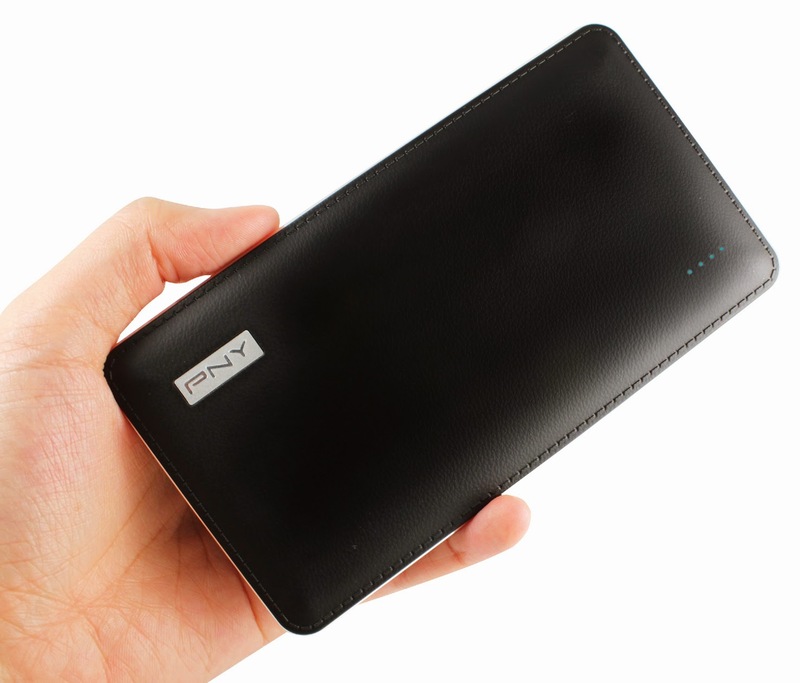 PNY Technologies, world renowned manufacturing giant for USB and Memory products, has announced the latest addition “The Black Edition L8021”, to their power bank series. Stay connected anytime, anywhere when you opt for the powerful black PNY L8021 8000 mAh power bank. USB powered, you can charge most gadgets with this durable and sturdy power bank. Every time your battery runs out, you can easily plug into the smart USB port and charge your device. The Black Edition L8021 is offered with a smooth black leather-like casing that is fingerprint and light scratch proof. The classic black power bank sports a rich, elegant and sophisticated style to suit your fashion and environment. It looks trendy and extremely professional-perfectly suited to showcase at business meetings or gatherings at an office environment. For fashion conscious and trendsetters, you can never go wrong with black and can be complimented with any attire. The Black Edition L8021 is an slim power bank measuring at 134.8mmL x 73.0mmW x 14.1 mmH in thickness, and weighing at 208g-a complete portable and convenient battery charger. It can be easily slipped into your pocket or carried in your lap top bag, handbag or backpack. Designed with perfection in mind and to deliver superior performance and quality to our products, The Black Edition L8021 is crafted with durable battery packs made from the highest quality parts. It comes installed with premium rechargeable Li-polymer battery cells, which adds an extra 8000 mAh of battery life to your smartphones, tablet PC, cell phones, e-books, game player, digital cameras etc. Simply plug your device in and recharge the batteries, so you can never run out of battery power for your mobile devices. Talk, listen to music, and compute on-the-go, and more with this power bank, easily and quickly. It is smartly manufactured with a power off/on button that can be turned off when not in use, so you can save power and enjoy longer battery life. It comes installed with four LED lights which indicate the charging levels of the power bank and helps keep you track of your device’s battery level status. One light indicates 0-25%, two lights: 25-50%, three lights: 50-75% and four lights: 75-100% of charge level. It is compatible with Android tablets, smart phones and all generations of iPodR and iPhoneR. It sports dual USB ports to charge your devices simultaneously, this power bank, comes with DC 5V 1.5A input and DC 5V 2.1 A output. The Black Edition L8021 is safe from multiple protections of short circuit, over-voltage, over-current, over-charge, over-discharge; double safety, auto shutdown, UN38.3 and insulation safety ensure safe and reliable charging to avoid any potential harm to your devices. It is certified by CE/FCC/RoHS (package) certifications and comes backed with a limited warranty of one year.